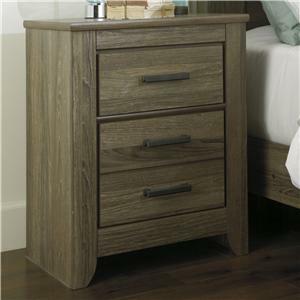 You can have a wonderful bedside companion with the addition of this nightstand. The piece carries a crisp white finish and features decorative carvings as well as a floral painting along the top drawer. 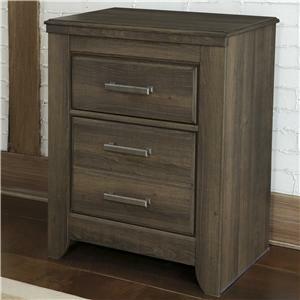 Plus, the three drawers are great for keeping books, magazines, pens, games and alarm clocks. 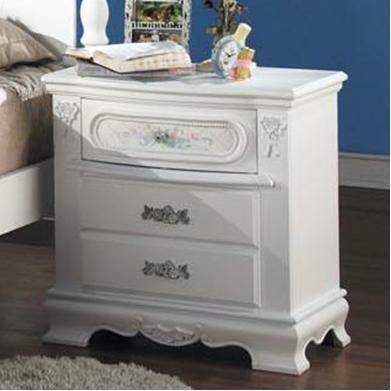 Make your child's bedroom complete with help from this attractive night stand. 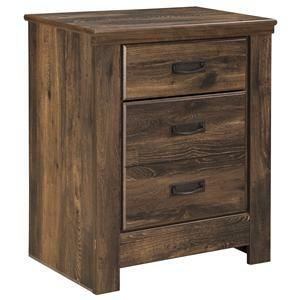 The 01660 Night Stand w/ 3 Drawers by Acme Furniture at Furniture Superstore - NM in the Albuquerque, Los Ranchos De Albuquerque, Rio Rancho, Santa Fe, Corrales, NM area. Product availability may vary. Contact us for the most current availability on this product.